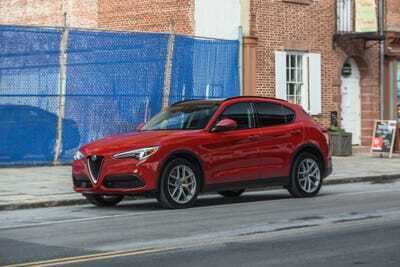 The Stelvio is Alfa Romeo’s first crack at an SUV since returning to the US market. 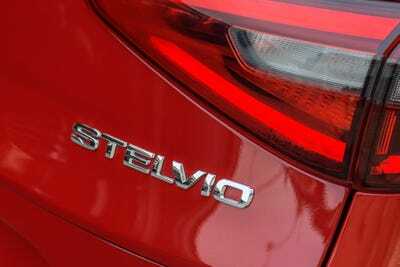 Luxury SUVs are a mission-critical segment for the Italian brand; the Stelvio is helping Alfa to post modest sales gains. 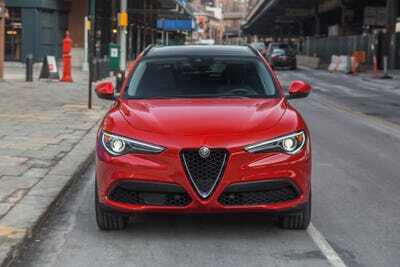 We enjoyed the Alfa Romeo’s styling and driving dynamics, but it fell short on infotainment and interior quality. 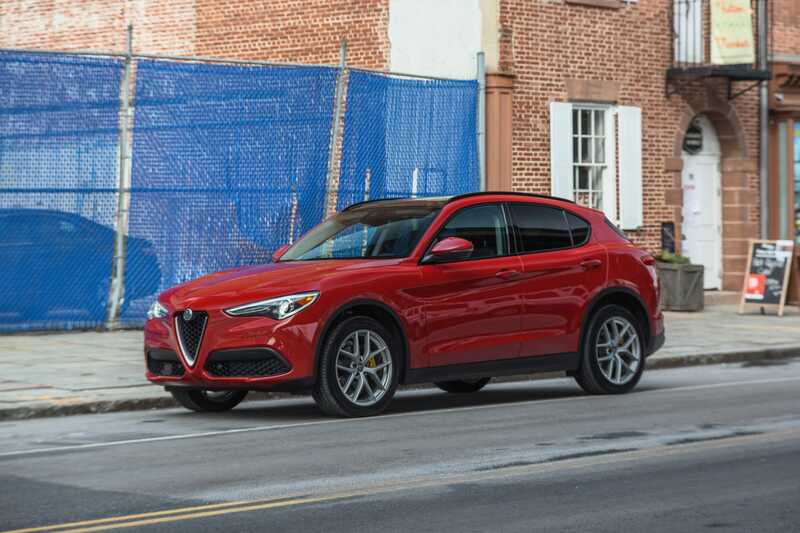 Alfa Romeo exited the US market back in the mid-1990s, and if you had told me prior to the financial crisis that the legendary Italian brand would be back, I’d have scoffed. By the bailout and bankruptcy of Chrysler in 2009 set the stage for an unlikely return, as Fiat – Alfa’s owner – acquired Chrysler and formed Fiat Chrysler Automobiles. CEO Sergio Marchionne was keen to restore Alfa in the lucrative US luxury market. So first we got the offbeat 4C sports car, followed by the marvellous Giulia sedan. 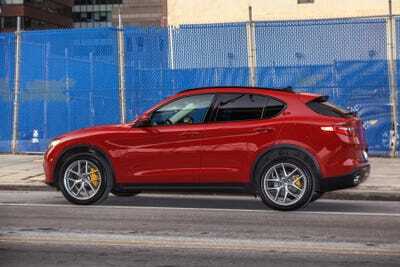 Now the most unlikely Alfa of all has arrived, the Stelvio SUV. Luxury SUVs are a big segment in ute-mad America, with pretty much every major brand supporting a lineup. Alfa had to get in on the action. 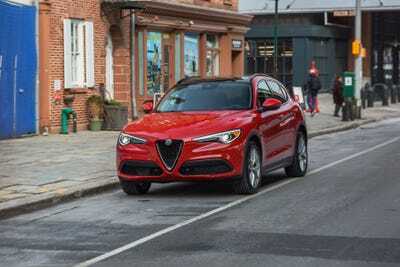 The Stelvio landed in 2017 and has contributed to a modest sales uptick for the brand, which is now reliably selling in the low four digits in the US, versus the mid threes a year ago. We got our hands on a $US53,000 Sport-trim example (the base model is $US42,000). The car was mega-sharp, with its quintessentially Italian styling. A Range Rover this definitely isn’t. But what was it like to live with? Our Stelvio tester arrived in a Rosso Red paint job with an all-black interior. The Alfa front end is utterly distinctive. You can’t mistake it for anything else, with that dashing shield grille, those saber-like headlights, and the gorgeous Alfa badge. As front fascias go, it’s amazing. The Rosso Red exterior was luminous. We seen Alfas in black and we’ve seen them in red. And red is better. Of course, because the design is so Alfa, it’s bound to be polarising. The obvious question is whether you want your rugged SUV to look like something that’s dressed for men’s fashion week in Milan. From my perspective, SUVs have exuded rough-and-tumble cred for so long that the arrival of panache with the Stelvio and the Maserati Levante is a good thing. The Stelvio is symmetrical and sleek. To be honest, apart from the glorious colour, we weren’t 100% convinced by the Stelvio’s beauty. The rest of the world didn’t share our scepticism. There was no shortage of admiring glances, rapt stares, thumbs up, and questions from total strangers for the week that we spent driving the SUV around New York and New Jersey. Curvaceous, taut, and as wedge-shaped as its possible for something that seats five to be, the Stelvio offers an elegantly sporty profile. The vehicle actually shares a platform with the Giulia sedan, but it has its own personality. 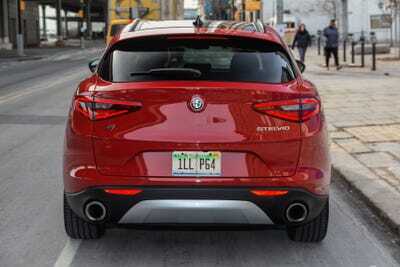 The Stelvio is also mostly Italian. It’s assembled there, and that’s where the engine comes from. The transmission is German. Nothing, really, is American. Ironic for a car aimed squarely at luxury buyers in the US. The only other brand with such a recognisable face is BMW. The Stelvio’s fascia is purposeful without overdoing it. BMW’s famous kidney grille has always seemed sort of workaday, even as it’s evolved over the decades. 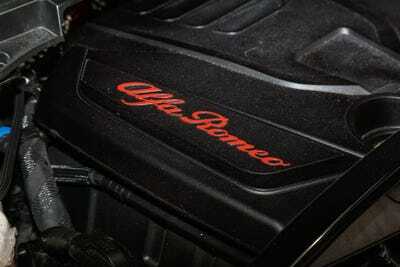 But Alfa’s front-end is racy to the core. And you can’t say it’s trying too hard. It’s just self-evidently Italian: fresh and ultimately exciting. I certainly never got tired of looking at it. The headlights are particularly striking. We have seen them before, on the Giulia, but against the red exterior they stand out better. That brow slices away from the round “pupil” and creates a sharp character element. The Stelvio isn’t a tall, boxy thing. Far from it. It’s more like the Giulia pumped itself up and grew a hatchback. 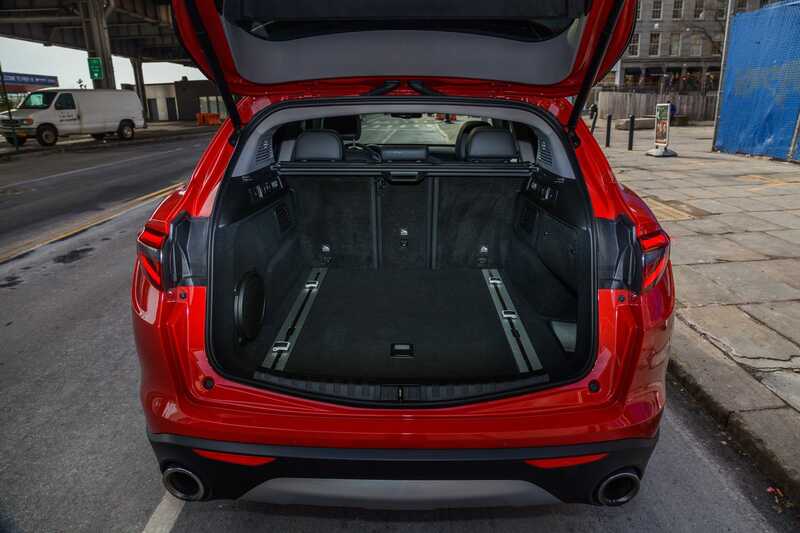 The only other rear-end I’ve liked as much on a recent SUV was on the Jaguar F-Pace. Nothing with those huge dual exhaust pipes, either. Can I complain about one small thing? I’d prefer if the tail lights slashed toward the rear badge more aggressively, picking up the design from the front. The name “Stelvio,” by the way, comes from the Stelvio Pass, a high mountain road in Italy that’s full on intricate curves. I’m sure you can figure out the symbolism: the Alfa Stelvio is a car that should be fun to take to the hills. 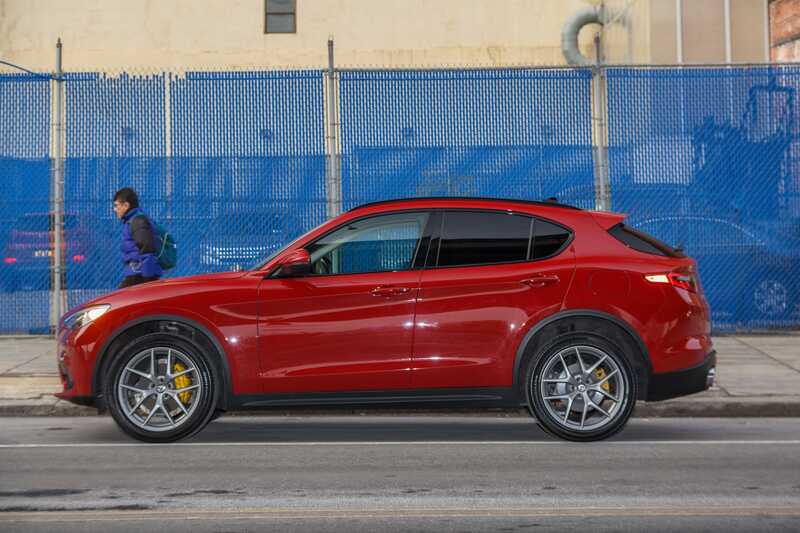 Our tester was equipped with all-wheel-drive, and while it was fine for whatever we threw at it in the suburbs and the big city, the proclivity toward a rear-wheel bias means that the Stelvio is more for the “sport” part of SUV than the “utility” part. Towing capacity is pretty weak, at just 3,000 lbs. The dark aluminium wheels were a smashing $US1,800 extra, and who can argue with those flamboyant yellow brake calipers? 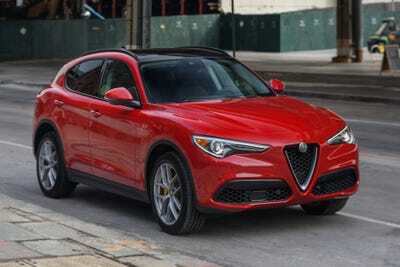 OK, so the Stelvio is a looker on the outside. But what about the inside? Well … the news isn’t great. 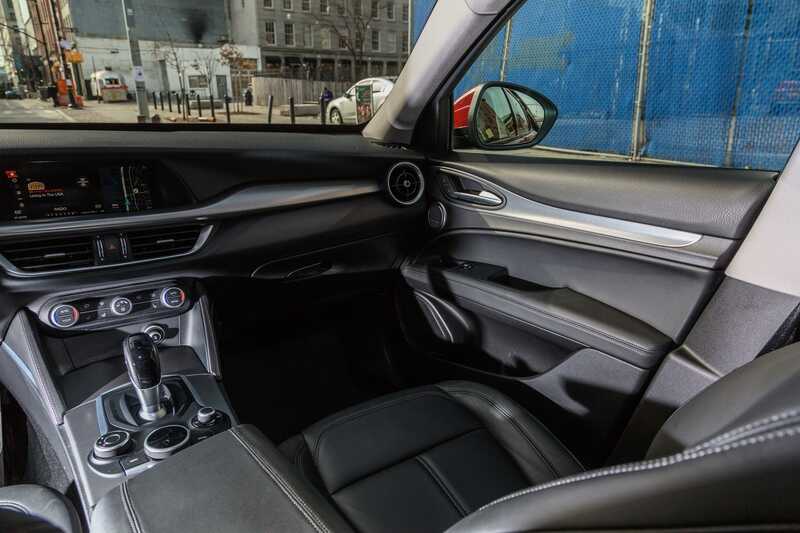 Yes, the interior is no-nonsense and easy enough to get used to. There are no superfluous touches. The push-button start on the steering wheel is a plus. As is the steering wheel itself. Leather-wrapped, it feels good in the hands. 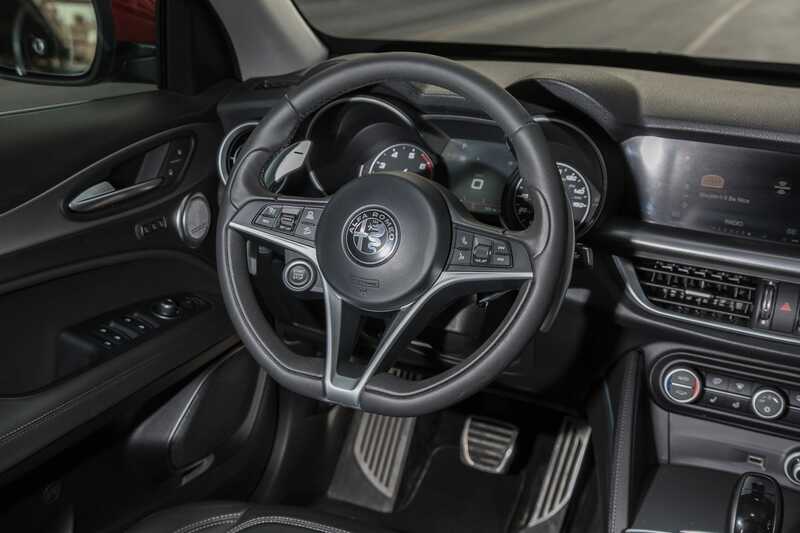 The really, really long paddle shifters also feel great and connect the Alfa with its Italian brethren, Ferrari and Maserati. The blacked-out Alfa badge in the center is also quite cool. But the fact that it’s sitting on a disc of cheap plastic isn’t. I wound up feeling that the Stelvio is splitting the difference between the Ultimate Driver’s environment of BMW and the duller presentation you might get with an ostensibly lower-grade brand, such as Buick. That said, the questionable interior isn’t going to help the Stelvio steal buyers from Bimmer, Mercedes, Audi, or Lexus, all of whom luxe things up more. The aluminium trim throughout the interior doesn’t alleviate the sense that you’ve slipped into an environment where some corners might have been cut. Overall, the level of luxury isn’t as high as it should be. In fact, some of the materials and surfaces are alarming in their plasticky aspects. We’ll get to infotainment in a sec, but the 8.8-inch screen seems small, by comparison with the competition. The back seat is roomy and fairly comfortable. There’s also an epic dual-pane moonroof that lets in plenty of light. You could easily fill the space with several weeks worth of groceries, a bike, dozens of soccer balls, or enough luggage to see four adults through a four-day weekend. 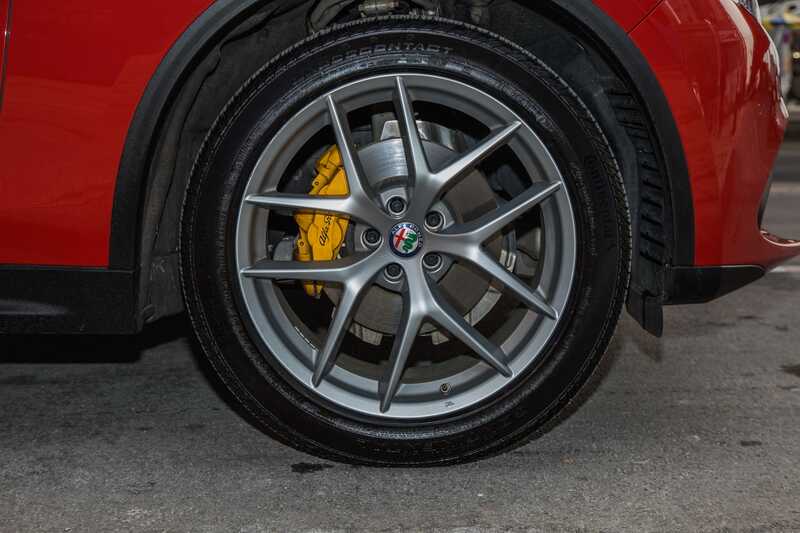 OK, so does our Italian SUV have an Italian heart? There was a 2.0-litre, inline four-cylinder turbo engine under the hood of our AWD sport-trim tester. 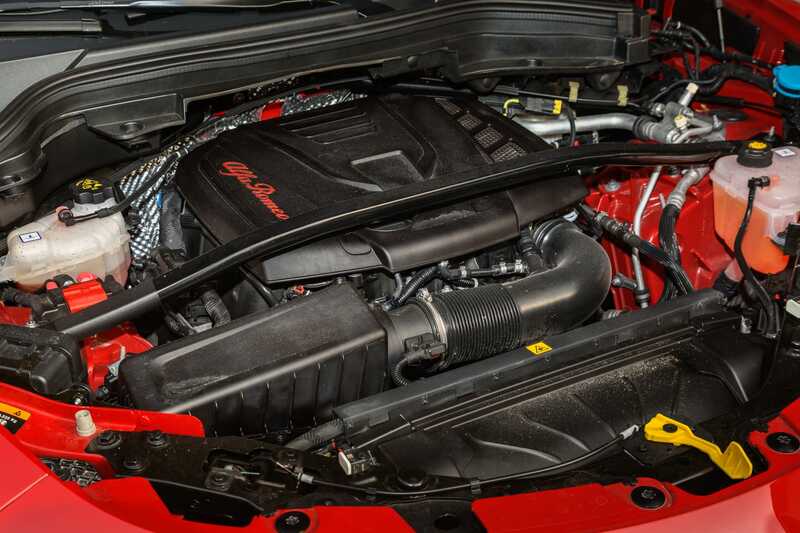 It makes 280 horsepower with 306 pound-feet of torque. For a small powerplant, it’s surprisingly gutsy. 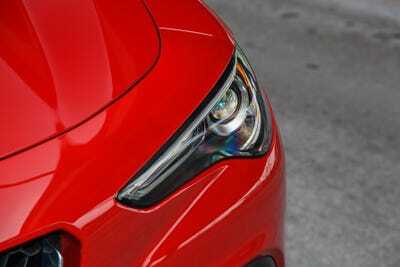 On paper, it doesn’t look like much and leaves one salivating for the 507-horsepower, 2.9-litre, twin-turbo V6 from the Giulia Quadrifoglio, an option currently only available in Europe. Fuel economy is decent, at 22 mpg city/28 highway/24 combined. The 0-60 mph time has been clocked at about 5.5 seconds, and although I thought it came off as slower than that in my tester, that was more impression than reality. The timer doesn’t lie. Mated to an eight-speed automatic with three somewhat baffling driving modes, called “DNA” (D for “Dynamic” is the sporty one), the motor is peppy and crisp. Neither I nor my colleague Ben Zhang could induce any turbo lag. The joystick-style shifter is annoying, but the layout of the center console is quite easy to manage. What made the shifter in our Stelvio even more annoying was a sharp ridge of plastic that was was poorly finished. For what it’s worth, even though the massive paddle shifters are tempting, we didn’t use them that much. 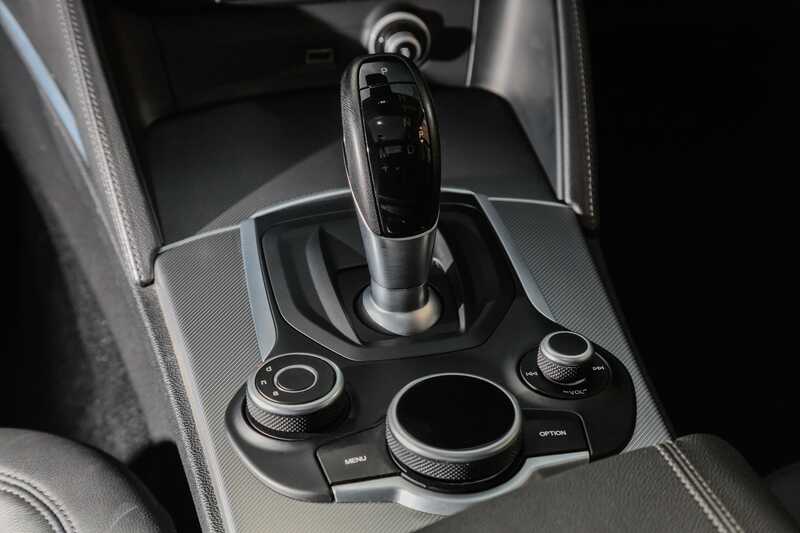 We let the eight-speed shift for itself, for the most part. Now for some really bad news. 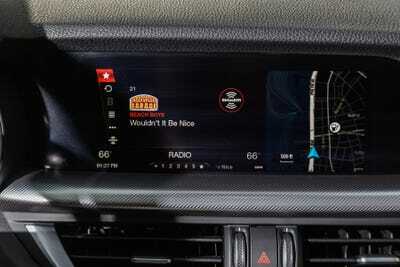 The Stelvio’s infotainment system is subpar. The screen is small and the interface is clunky. 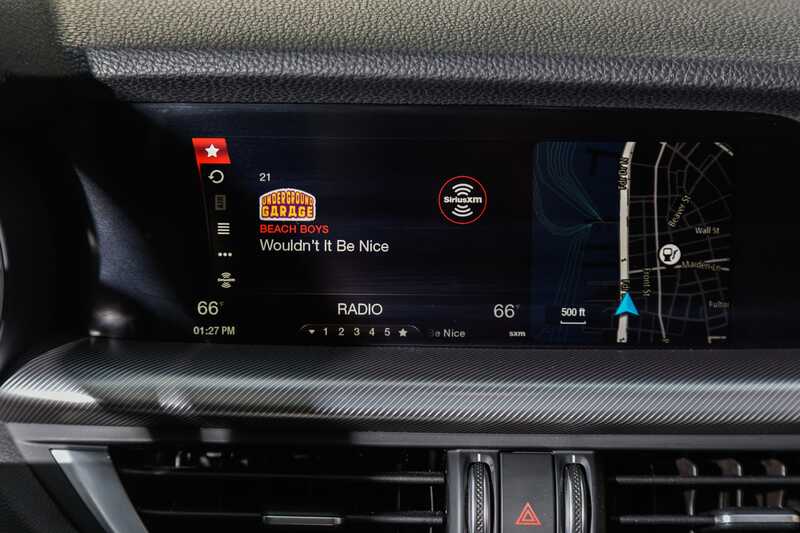 It doesn’t lack for features; everything from GPS navigation to Bluetooth-pairing to USB/Aux connectivity is there. But we struggled to adapt to it. Our Stelvio boasted an $US800 Harman/Kardon audio system that I thought sounded not-very-good in the Stelvio; a surprise as I’m used to premium sound enjoying the luxury SUV context and coming up short in big-ticket sports cars. We think the Stelvio is a really stunning crossover SUV. It can stop traffic and turn heads. But we were disappointed by the interior quality, which simply isn’t premium enough. Then again, the sub-$US60,000 price tag on our tricked-out tester means that even if Alfa cut some corners, the savings were passed along. We were also disappointed by the infotainment tech. It works, but the interface is a drawback. However, on the utility front, this could be the most stylish suburban family hauler on the market. Just don’t think about hauling much of a trailer. The tow rating is just 3,000 lbs. And stay off the muddy trails. The AWD system would rather send power to the rear wheels. 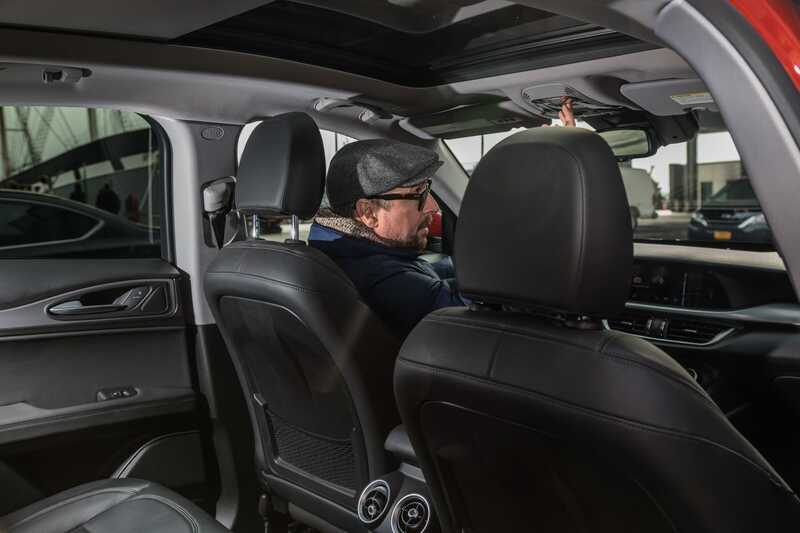 We did have a suite of driver-assist features to check out, ranging from adaptive cruise control with a stop-and-go function (for traffic) to forward-collision and lane-departure warning. This stuff is becoming common on vehicles of this pedigree, and in our brief experience they all worked as advertised. As for the driving, Ben thought it was pretty good, while I missed the lightweight, tossable feel of the Alfa Romeo Giulia Quadrifoglio that was a finalist for BI’s 2017 Car of the Year. Ben rightly pointed out that the Stelvio Quadrifoglio could deliver that vibe, but I didn’t think the Stelvio Sport really got into its element until it was going fast in a straight line on the highway. I didn’t much care that the SUV was favouring its rear wheels; I wanted more personality at 30-40 mph. Probably too much to ask from an SUV that weighs 4,000 lbs. and isn’t cranking out more than 300 horsepower. We argued about it for a while, and I concluded that while I expected the Stelvio to drive better, I could live with the machine. It had magnificent driveway presence and could still gobble up an impressive amount of cargo. The growl of the engine was routinely satisfying. In the end, the Stelvio shows that the Italians can do a capable “everyday” luxury SUV (The Maserati Levante is a bit too much for everyday duty) without sacrificing that which makes Italian cars special. This was necessary, even imperative, in the US, where trying to open up the market with a sedan and a bonkers little two-seater in the 4C wouldn’t make much sense. The Stelvio isn’t perfect. Far from it. 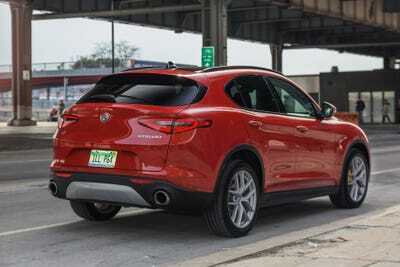 But for Alfa and its SUV ambitions, it’s a good start.